New Zealand bound … almost! 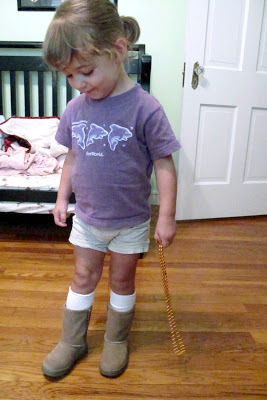 I had Cate try these boots on this afternoon to make sure they fit before we go to New Zealand in a few weeks. And she’s been walking around the house in them since. I guess she’s ready to go see Aunt Cassie and Uncle Zac! she's so cute. so what will the weather be like there? Their seasons a opposite us right? that is so cute- i love them!!! can't wait until y'all get here!! !